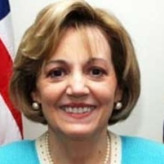 The United States in August 2011 sent experienced senior diplomat Anne W. Patterson to be the U.S. Ambassador to Egypt as its revolution continues to develop and, potentially, affect American interests. Born on October 4, 1949, in Fort Smith, Arkansas, Patterson earned a B.A. from Wellesley College in 1971 and attended graduate school at the University of North Carolina for a year. Early on, she held a variety of economic and political assignments, including in the Bureau of Inter-American Affairs, the Bureau of Intelligence and Research, and the Bureau of Economic and Business Affairs. Patterson served as economic counselor in Saudi Arabia from 1984 to 1988 and as political counselor to the US Mission to the United Nations in Geneva, Switzerland, from 1988 to 1991. Back in Washington, she served as office director for Andean affairs from 1991 to 1993 and principal deputy assistant secretary and deputy assistant secretary of Inter-American affairs from 1993 to 1996.